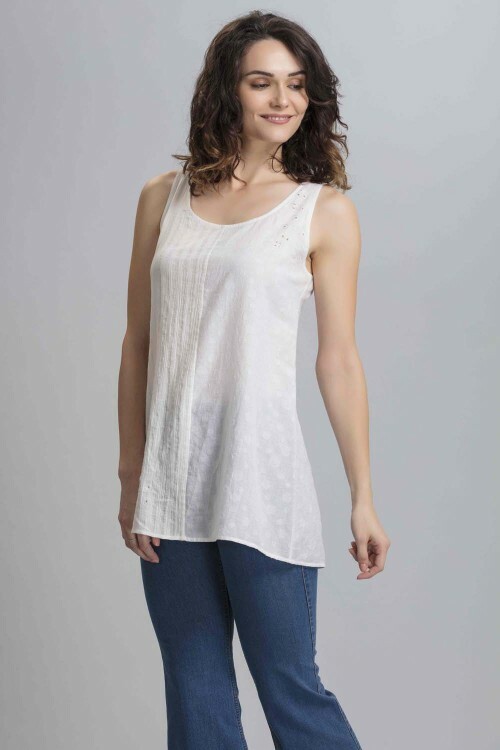 An all white summer tank in soft crepe crepe viscose has a cheeky keyhole at the back. Pleats at the back add flair. While it looks delightful when tucked in, the top is long enough to be let down as well. We know this will be your all time fave white tank.